Many couples opt to purchase alcohol in bulk for their wedding in order to save costs and control what brands and types of alcohol are purchased. For example, maybe a groom and his groomsmen have an absolute favorite brand of beer, but the reception does not have a way of accommodating them. Some places allow alcohol to be brought in by the couple for the guests, depending on their liquor license. This would definitely be something to figure out with your reception’s event coordinator BEFORE the big day! What happens when the big day is over and you’re left with way more cases of wine than you anticipated? In Ohio, by law, alcohol is unfortunately not able to be returned to the store. This means that once you leave the building and pay, you cannot return the extras for a refund. All states are different, but in Ohio, there is no returning the unopened containers. So, how do I know how much to purchase? It’s a very tricky situation. We recommend thinking about all of your wedding guests and if they are alcohol drinkers, people that do not drink, any children invited, etc and get an approximate count of drinkers. 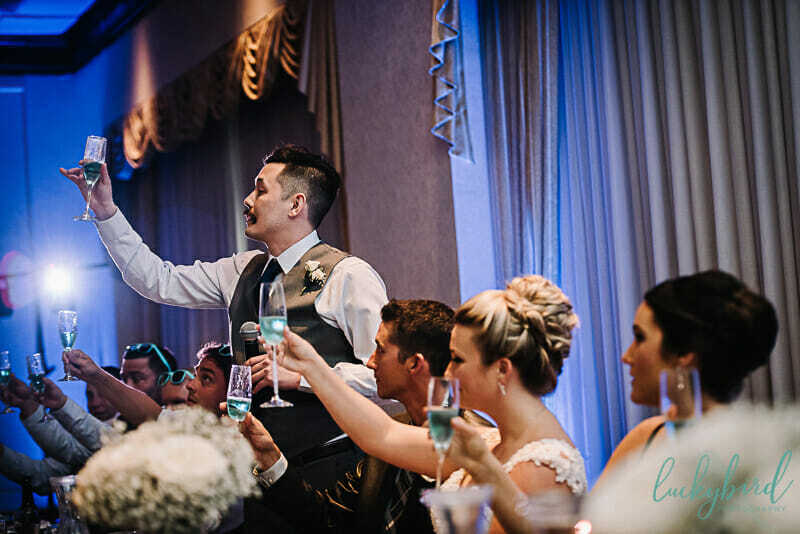 Your reception location or a liquor store should be able to provide you with information on how much to get and how many drinks on average a person will drink at a wedding. Remember, you probably want to have too many bottles left over than to run out mid-evening and have some unhappy guests. Also, be sure to think about what different types to purchase and ask your liquor store employees for advice! Will you be purchasing alcohol for your wedding? What kinds and how much? Let us know below! Good luck!